Thanks for stopping by! I'm Susan D’Addario, LCSW and Certified Sleep Science Coach, and I LOVE to help people to heal and feel better about themselves! For the past 23 years, I’ve worked with adults with life struggles getting in the way of their growth, self-esteem and inner happiness. Approximately 8 years ago, I broadened my mental/emotional healing work to include the body. I'm fascinated by the interactions amongst body, mind, spirit and well-being. The broader perspective came out of my own life experiences, explorations and passions into the worlds of wellness, nutrition and other holistic arenas. As part of this expansion, I became a CSSC and created Back-To-Sleep! You know how some adults - maybe even you - struggle to get a good night’s sleep? They feel exhausted and might gripe with family members, drop the ball at work and can barely keep from nodding off during the day? And, many have tried to get help – including taking pills that can be hard to get off – all without real success. Well, I offer them a personalized, healthy solution to start sleeping soundly again so they can finally get back to their energized and well-rested selves, all without chemical dependency. And, it’s all contained in Back-To-Sleep! I know first-hand how hard it is not to be able to sleep! A number of years ago, restless leg syndrome, GERD, life worries and body pain all contributed to my own difficulties in getting a good night's sleep. There were days I was so worn out I could barely keep my eyes open. My lowest point came when I nodded off behind the wheel and barely avoided getting into a serious car accident! That horrifying experience inspired me to research anything and everything that had to do with sleep. I was fired up that no one should have to experience what I did and risk their lives. 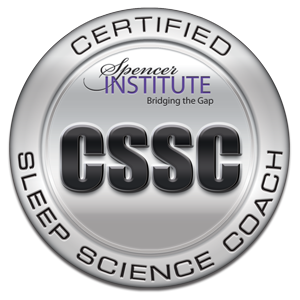 Ultimately, I became a Certified Sleep Science Coach so I could spread the sleep better word! This is why I'm so passionate about helping hundreds of people to learn how to sleep soundly and feel their best. I was able to change my life for the better and I want to support you to do the same. And, when you’re sleep deprived, that simply isn't possible. I understand the value of sharing life-saving sleep information, as well as how stress, eating, hormones, circadian rhythm, physical activity and more can all have a profound impact on getting a good night's sleep. Beyond educating, I will coach and support you to integrate the new sleep knowledge into your daily life. Your sleep and overall health will thrive! Click here for your 30-minute complimentary ‘Breakthrough to a Great Night’s Sleep’ Session ($90 value) to learn if my services may be a good match for your needs. No pressure, no strings attached...just a great conversation with someone who listens deeply and sees your value. You can transform your poor sleeping habits and exhaustion into finally sleeping soundly again, feeling rested and ready to take on the world. I promise that you'll get a ton of value from our short time together! Sign-up to receive our e-newsletter ‘Get Back-To-Sleep’ as well as updates on events, programs and other news.